Skerries Tidy Towns are looking to making the town as accessible as possible and would be very grateful if any Wheelchair/Mobility Scooter users and people with limited mobility could complete a survey on accessibility in Skerries. They would also be grateful for any suggestions from people where the town can be improved. You can send the completed survey to mclarecarter@aol.com. No Excuse For Single Use! Skerries Tidy Towns will launch their reusable cups in Super Valu Skerries on Tuesday, December 12th, at 2pm. Thanks to James and Super Valu for hosting the launch. The 12 oz cup comes in four colours. It is made of naturally organic, rapidly renewable bamboo fibre. The lid and sleeve are made of silicone, which is BPA and phthalate free. The cup itself is dishwasher safe, naturally sterile – no taste residue – and should last for years. 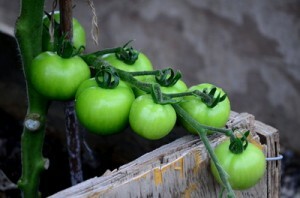 But when it has come to the end of its natural life, it goes back to nature along with organic compost. The cups will retail at €9.99 and will be available in Super Valu, Gerry’s, Goat in the Boat, Skerries Mills, C&T’s, Skerries News, Olive, LA Bakery and Gerry at the station. There will be a free coffee to go when you buy a cup on the day. 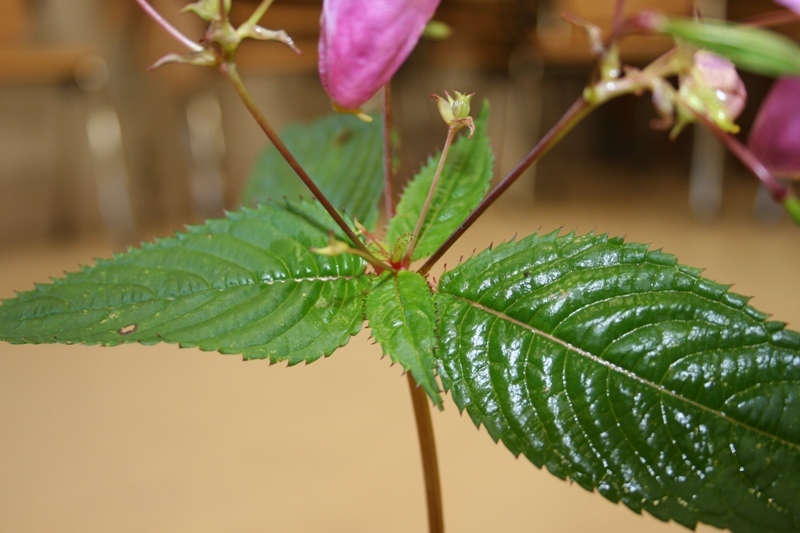 Have you seen Himalayan Balsam? 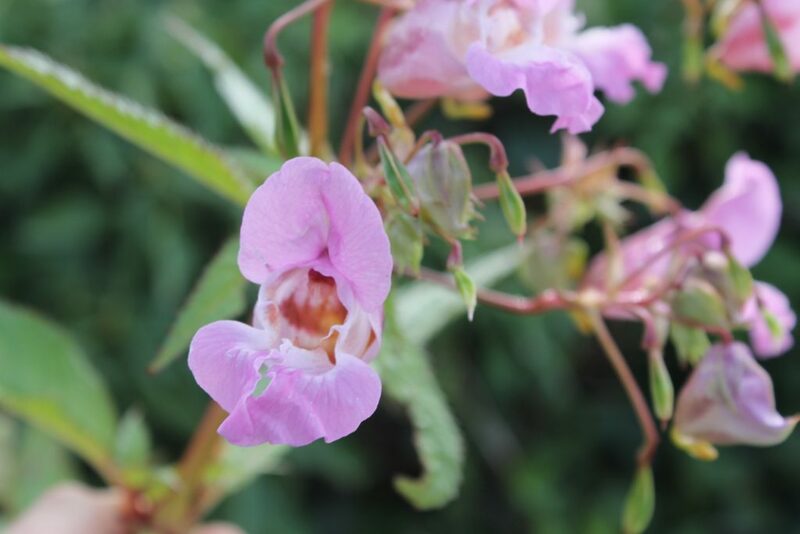 Himalayan Balsam is a pretty pink plant that was first introduced to Ireland as a garden plant, but it soon found its way out of gardens and into the countryside, where it has been spreading rapidly ever since. In Fingal, its spread seems to be limited to two sites in Skerries, and the Skerries Tidy Towns group and Fingal County Council are keen to eradicate this invasive species. 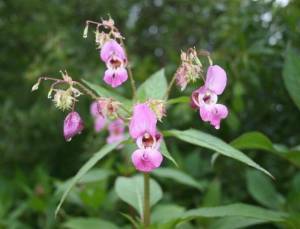 The plant is an annual with scented, purplish-pink, slipper shaped flowers in June–August. When the large green seed pods are mature they explode when touched, scattering the seed far and wide to start new infestations next year. The seeds float and are spread further by water movements. Please try to provide a map or a precise location with reference to the proximity of local features. Skerries – the overall winner of the 2016 Tidy Towns competition! Skerries is a fantastic place to live in – and it’s now officially the top Tidy Town in Ireland! Well done to Skerries Tidy Towns Committee. For links to some of the major coverage of this fantastic news item, go to the very bottom of this post. A lot of work has gone into making Skerries an ever-better place for us locals and visitors alike. It’s not just the weekly work parties… you can read about the work this very active committee is doing on their dedicated page here on our Skerries Community Association website (they are, after all, one of our many committees). A considerable amount of research, planning, and reporting is involved as well. 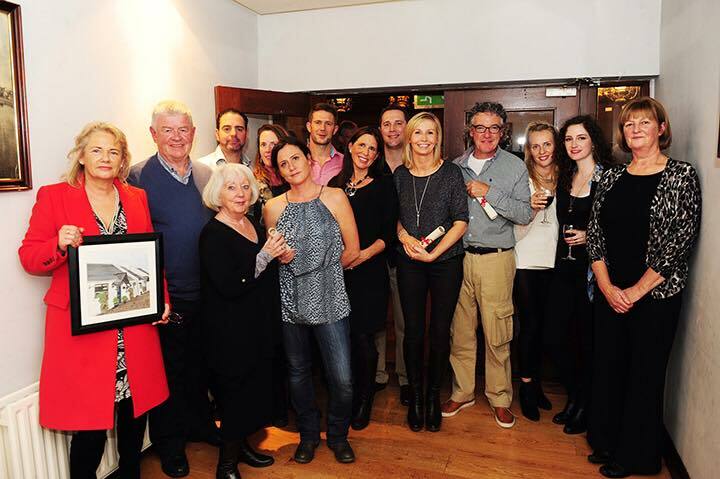 The Tidy Towns Committee this year focused on the Winning Value of Water – this is a piece by Mary Conway (you can see her on the above picture, fourth from right) that significantly contributed to the win. Skerries is a seaside town which lies approx 25 kilometres north of Dublin City. It has two beaches, a harbour and a restored windmill and watermill. It has a long association with the sea. In previous times the residents depended on fishing for a livelihood. In recent times the population of Skerries has increased five fold and now stands just short ten thousand people. Luckily there is a very good community spirit in the town and enthusiasm for conserving energy in general and especially water as you will see from some of the projects below. Floraville Community Garden in the Town Centre. The new Community Garden provided under auspices of the Chamber of Commerce. This garden was designed in strict accordance with the recommendations of the Greater Dublin Strategic Drainage Study and other regulatory guidelines of Fingal County Council and the Department of Environment. This includes collection of rainwater falling onto all pavements and hard standing areas, its attenuation and ultimately its infiltration into the ground. In addition, it was decided to implement a rainwater harvesting strategy and thereby minimise the amount of water that would be required from the public mains service. This was done by using a shallow underground 3000 litre F-Line rainwater harvesting tank and system so that this amount of water would be available for watering the garden. The system includes a state of the art automatic pumping system to provide the desired gardening water pressure while at the same time minimises power usage to operational periods only. The pump goes into hibernation mode at all other times. Water from this source is used by volunteers who maintain the flower planters around the town. a 70,000 liter tank at the highest point of the scheme. From this tank, water troughs around the allotments are fed by gravity flow. There are about 50 such troughs situated so that from any allotment you shouldn’t have to walk more that 10 meters to get water. Troughs were deliberately chosen as opposed to standpipes as it was felt that with standpipes, people might use hoses and be more wasteful of water. In addition to this many of the allotment holders have water butts and collect rainwater from shed roofs. The Skerries allotments group held an open morning to encourage new people to become involved in the allotment community. They set up a sustainable watering system using the existing scheme with a solar pump which pumps water to a large container which is then gravity fed to troughs at various locations in the field. As to quantities of water saved, I suppose of a hot summers day, an average allotment holder would use 30-40 liters of water on my allotment. There are about 250 allotments so, potentially, that could be 10,000 liters/day that would otherwise have come from the mains. Off course this depends on the weather, whether or not there’s a poly-tunnel, etc. Fingal County Council and the Fingal Leader Partnership did help financially to get started. Increased use of natural mulching and waterbutts in continuously encouraged. This year a site for the community garden has been secured and a Committee are looking at the ways of saving water and they are receiving the co-operation of the allotments group. Already they have a 1000 litre tank to harness the rainwater from the roof of the wind/watermill. There is consideration being given to the idea of using the stream beside the watermill to draw water using a solar panel and then collect it in a tank. As this project progresses more consideration will be given to rainwater collection and the use of the stream. Being a member of Skerries Tidy Towns for many years and involved in other community groups I was very impressed with the amount of planning this group has done in short while and have no doubt but it will be successful. A survey was carried out in the schools about the amount of water saved in homes. The Tidy Towns Committee arrange with the local News publication to publish a number of abbreviated helpful hints on energy saving from Green homes covering waste reduction, water conservation, energy saving in the home, reducing carbon emissions and tips for recycling. A cartoon character called TiTo was commissioned specially to highlight these tips. Tidy Towns and Skerries Community Association Facebook and websites are used regularly. 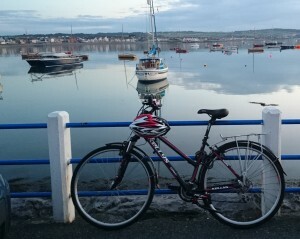 Skerries is so lucky to be close to the sea as it provided much enjoyment for the residents. There is a sailing club, rowing club and a surf board group. These clubs provide much needed training for its members. Let us not forget the daily swimmers all year round. There is a safe swimming place on the head which has a area suitable for wheelchairs. There is great awareness of the power and dangers of the water. A huge number of children are trained to a high level in general water safety every year. Despite the high level of water sports enjoyed by the people of Skerries the sea took its toll on the fishing people. Last year Community got together and erected a memorial of all the fishermen and other sea users that lost their lives off Skerries. Skerries Community Garden – Be part of it! Would you like to grow your own food without the expense and commitment of an allotment? Do you want to learn how to grow food and flowers with a community of other people? Do you have time to spare and interested in becoming involved with a Community Food Garden? WE HAVE THE ANSWER FOR YOU. Sustainable Skerries in association with Fingal County Council and Skerries Tidy Towns have permission to create food growing garden near Skerries Mills. Being part of a Community food garden will provide you with an opportunity to meet new people, become more active, have access to fresh produce and learn how easy it is to grow food. 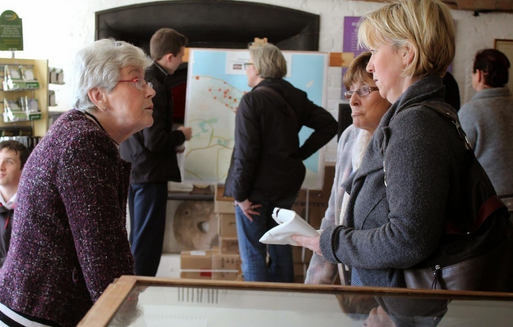 What do Skerries Mills, Shoe Horn, Barbara Ryan of The Old Rectory, the residents of The Kybe and Wisteria all have in common? They were recipients at the recent Skerries Tidy Towns Awards Night! And they, as well as many, many others here in Skerries, contributed significantly to our very good results in the national Tidy Towns competition 2015. Below is the list of awards, their sponsors and their winners. 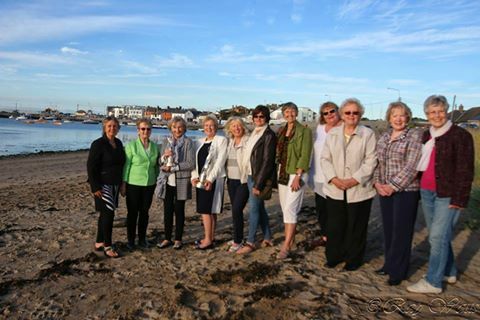 Another busy year for Skerries and we are eagerly awaiting the 2015 results of the National Tidy Towns Competition. These will be announced on 28th September. Watch out for Nationwide on RTE that evening and hopefully you will spot Skerries. In 2014 having won the County Award and a Gold Medal in the competition, we closed the gap on the overall winners. We are now only 4 points behind last year’s winner Kilkenny. So it really is nail biting time now. Community involvement is an important element in achieving marks in the national competition. 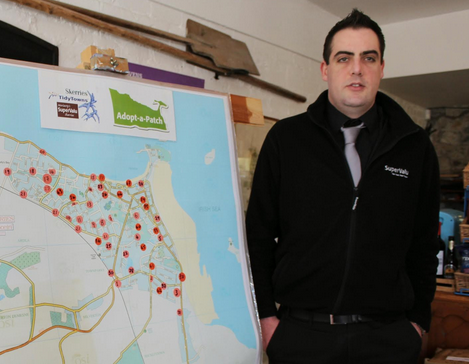 The bird and bat nesting boxes made by Foróige and placed in appropriate locations by our local BirdWatch Ireland group, together with the multiple green flags obtained by the local schools, and the Adopt-a-Beach scheme, count in a big way. Well done and many thanks to all. The fifth year of Adopt-a-Patch was re-launched in March 2015, and there are now 50 patches adopted. We do have a few more looking for volunteers to adopt them so if you think you can help contact us through Facebook or speak to any member of the committee. Our work programme runs from the end of January early February until September each year. We have regular work parties on a Monday morning meeting at 9.30 am in our store on Quay St – new faces always welcome. Many thanks to all our volunteers and for all the support the Committee receives from residents and businesses in Skerries. Maeve McGann, for Skerries Tidy Towns. Skerries Tidy Towns Committee, in association with Fingal County Council and Supervalu, re-launched “Adopt-a-Patch” at Skerries Mills last Tuesday (24 March 2015). This successful scheme is now in its fifth season. New and continuing volunteers take charge of an open space, laneway or pedestrian area, and keep it clean and litter free. Fingal County-Council provide bags, and collect full bags from convenient points around the town. Our local Supervalu act as the depot for new bags, gloves etc. It was particularly good to see a strong contingent from Skerries Community College, who are ever increasing their involvement in the community. 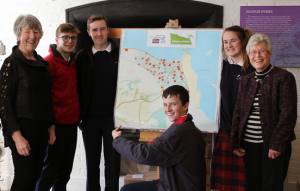 They regularly cooperate with SCA committees – Soundwaves, for instance, hugely benefited from a good number of Transition Year volunteers during their festival last September. The SCC students have adopted a patch around the Community College. 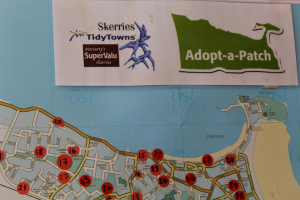 If you would like to join those who already have adopted an area, contact y member of Skerries Tidy Towns Committee, in particular Frances Owens (087 241 7017) or Breege Madden (087 770 0449).